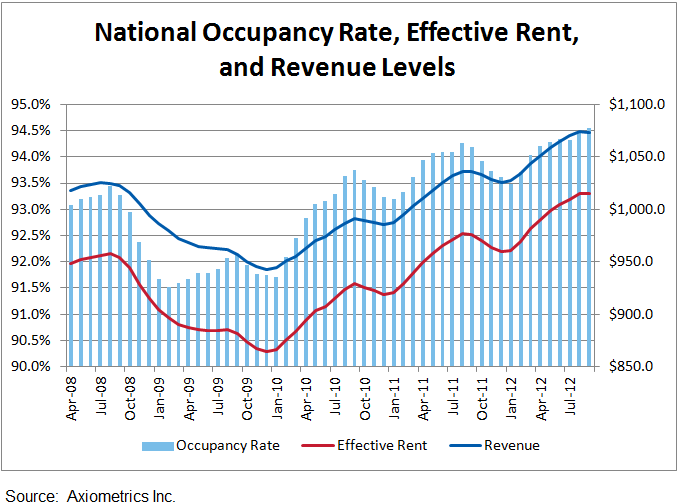 From the chart it looks like the national average of other income is about $50-55 a month per unit (revenues over effective rents), my question is are you getting that much at your property(ies)? We are not currently but our goal is to raise up our other income and utility bill backs steadily over time. 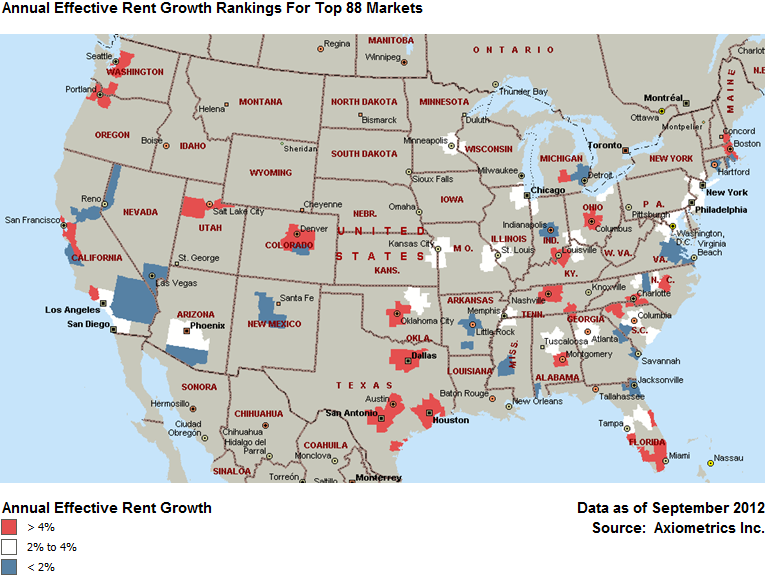 Red hot with rent growth up to now. I’ve started to hear from several of the multifamily research firms that rent growth is slowing/peaking and I know there’s a lot of supply coming online the next few years so we’ve been out digging up markets that show consistent demand, are supply constrained and too small for the institutions to wade in and send cap rates falling. Shoot me a message if you’d like to discuss these type of acquisitions. There is an oil boom going on here, where I live. The projections say this will continue….for many years to come. Right now, there is hardly anywhere for people coming to town, to rent. Some have bought, but most want to rent. My question is: Which would be a smarter thing to do, build a small (as I am a first-time apt. bldg owner) apartment complex, knowing it will be rented before it’s even completed…..or try to find an existing one and do renovations if needed. Which, by the way, are not plentiful. Big oil companies are buying up some of the bigger complexes, to provide occupancy for their employees, coming here to work. There is money to be made and I want in on it!! Betty, that depends on how you plan to finance your acquisition or construction project. If you have the cash or private money then the decision turns on the economics of building versus buying; if you will need financing then the first hurdle will be to make sure a lender will fund your first-time development project, or nowadays will they fund your first acquisition without having an experienced partner in the deal. Because of the added entitlement, permitting and construction risks in a development deal we focus on existing properties but if you have development experience on your team expected returns should be higher when building new. That said, my experience is that developers really do earn those higher returns through hard work and gray hair. One strategy that may help you ‘bootstrap’ the development of your first multifamily property would be to tie up the land for three or four fourplexes and build them one at a time, renting them as they are completed and going back to the bank for the next loan with tenants in place and cash flow. By going this route you may be able to qualify for residential loans with potentially higher LTVs and still end up with a twelve or sixteen unit complex. Previous Previous post: What comes after primary, secondary, tertiary apartment building investment markets? Next Next post: How to make REOs-to-Rentals work: spin them into a REIT. Look out single family investors, here come the institutions.